In this article, we will talk about how to make a great watch packaging box for the luxury and high-end purpose—a soft touch matte white rigid paper box. 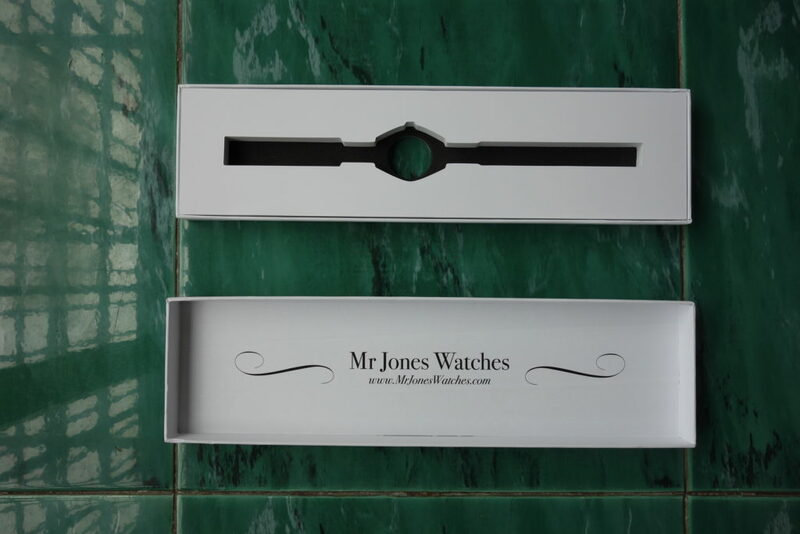 In the picture below is a lift off lid rigid paper box we made for Mr Jones Design. The box is packed into a clear cellophane bag to protect the box from dirt and scratch. The box has two parts, the paper box and the EVA foam insert. The print design is quite simple, but very beautiful. Only the simple text logo MJW is printed on the soft touch matte white top lid. On the back is a full color printed image with the cutout hole for the watch back. The printing is very high definition, looking very crisp. The buyer can check the brand name of the watch through the back cutout hole. On the top is the back side of the box, on the bottom is the front side of the box for the top lid. There are 2 styles for the watch box, one for the ladies watch, the other one for the unisex watch. 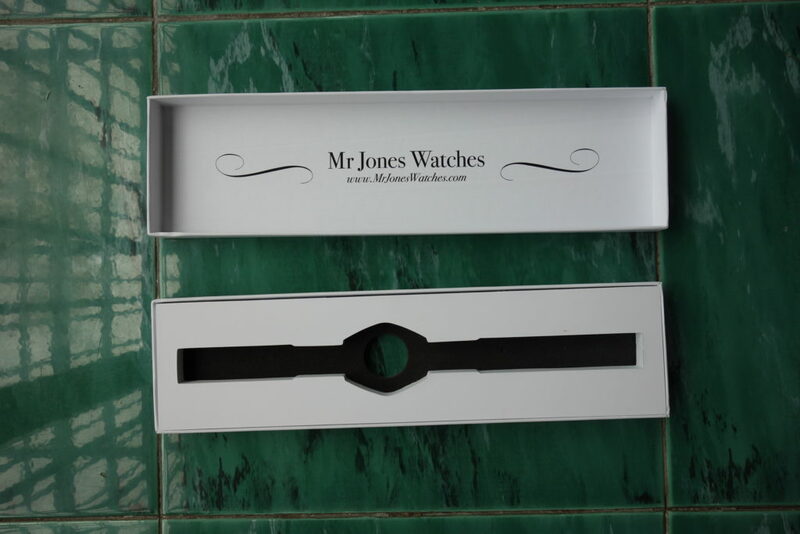 The wonderful thing about the box is that MJW has over 6 watch styles. But all of them share the same paper box. The only difference is the EVA foam insert inside the box. The ladies watch box has a slim cutout, while the unisex box has a wider cutout inside the EVA foam. The watch box has the matte white color as the background color. The paper used is a very high end luxury paper, which has the brilliant clean white color. In the picture below is the rigid paper box for the ladies watch, which has a slim EVA foam cutout inside. The EVA foam is a multi-layer insert of the thick white foam on the top and the thin black foam EVA on the bottom. On the top of the white EVA foam is actually a matte white paperboard covered. This is the inside view of the unisex watch box which has the broader EVA foam cutout. MJW has over 4 styles unisex watches. All of them share the same cutout. The watch box is made of the 2mm thickness greyboard, which gives the box enough strength and durability for the mail purpose. 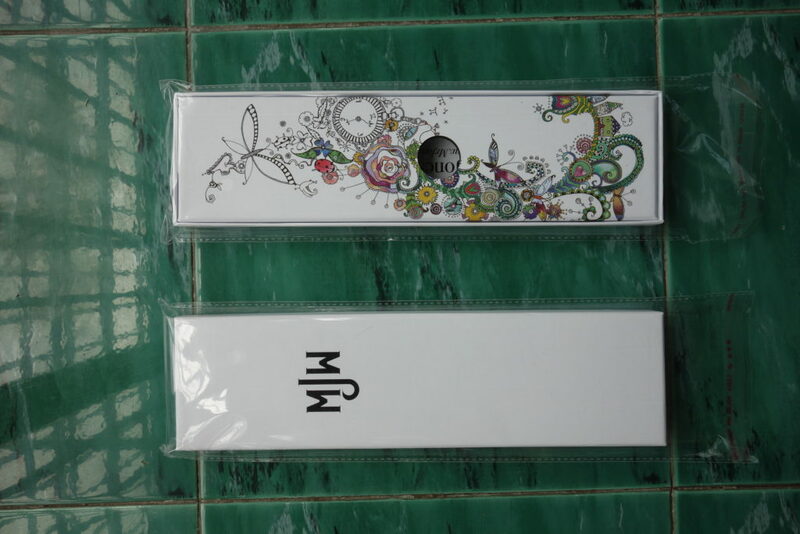 The wraps is made of the imported art paper, which is exclusively used for the luxury high end products. The box has the matte soft touch laminating, which makes the box have the final gorgeous look and feel. Shanghai DE Printed Box is a custom paper printed box supplier and manufacturer. 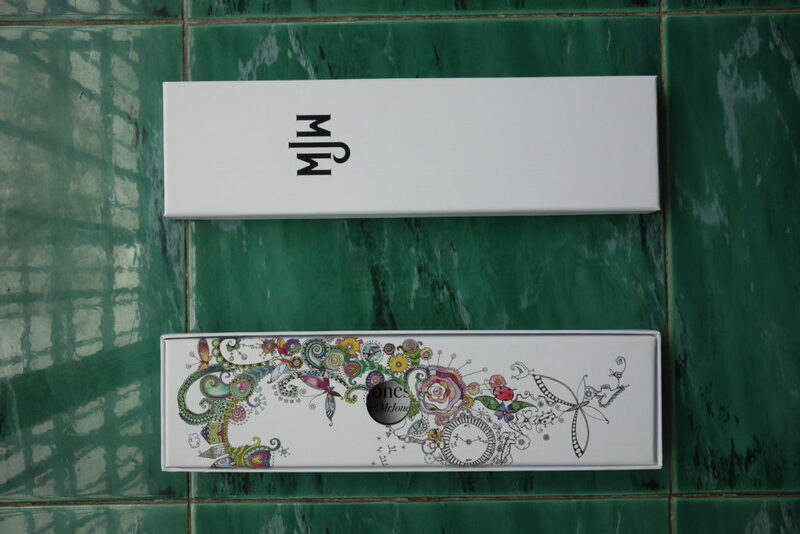 If you have a watch and need a great packaging box, please do not hesitate to contact us. Also we can create the EVA foam cutout dieline based on your watch. This entry was posted in Packaging Design on July 2, 2016 by Jane.